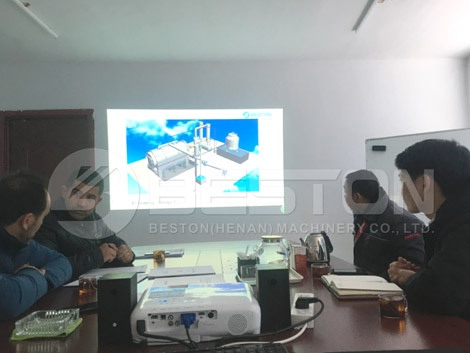 On January 17, 2019, Chile customers visited Beston Machinery. Chile customers are running a company that is specialized in waste recycling. They wanted to know more about waste pyrolysis plant and waste sorting machine through this visiting. For pyrolysis plant: they hope to pyrolyze waste tire and waste plastic to get fuel oil. Then, through distillation, they want to use the end product for electricity generation. They are very interested in electricity generation function of end product. For waste sorting machine: they want to take full advantage of garbage through automatic sorting. The Chile customers think that it is a good new way to turn waste into treasure. 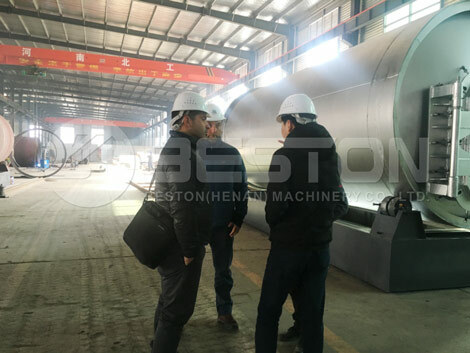 During visiting time, they have an overall understanding about Beston Machinery and our products. 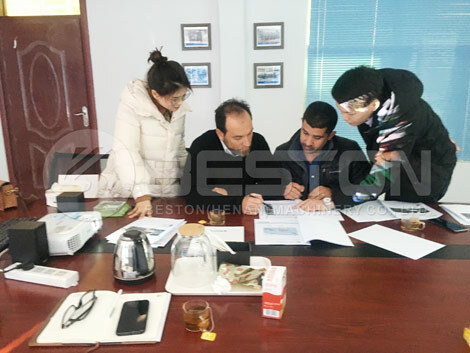 Therefore, the customers look forward to cooperating with Beston Machinery soon after. Beston Machinery would do maximum possible efforts to customize the pyrolsyis plant and waste recycling plant for you.